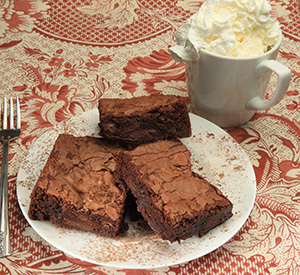 For larger or multiple orders of gluten free brownies, please REPEAT your order until you achieve the total quantity of gluten free brownies desired. You will be able to designate different recipients for each and every item ordered at checkout. 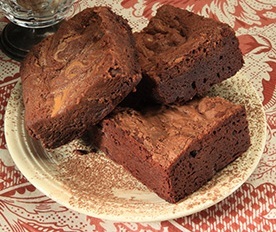 Lots of Flavors of Gluten Free Brownies To Choose From! 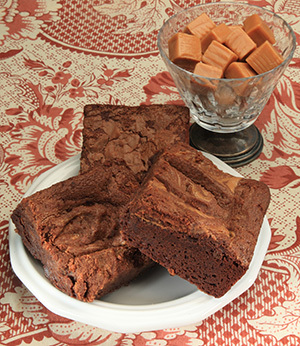 A large helping of freshly made caramels is swirled through the batter of these classicgluten free cake-style brownies to give them their memorable, rich taste. Walnuts... Sugared and Toasted. 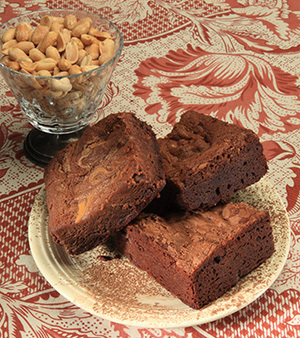 A generous scoopful on English Walnuts, toasted and sugared, give these classic gluten free cake-style brownies that extra special taste of goodness. Walnuts... Sugared and Toasted. 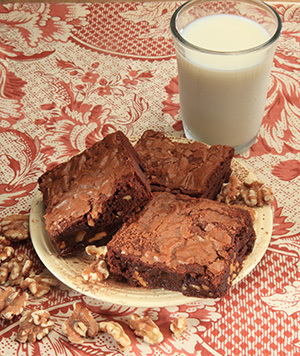 A generous scoopful on English Walnuts, toasted and sugared, give these Gluten-free cake-style brownies that extra special taste of goodness. 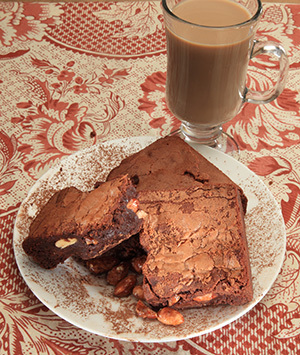 Almonds, toasted and coated with sweet toffee, give these Gluten-Free Fudgy Brownies their signature taste. 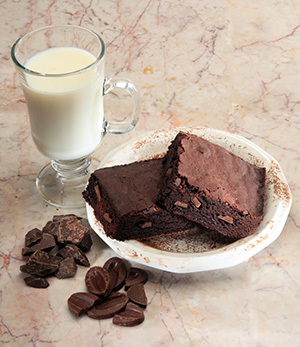 A perfect mid-afternoon treat... spoil yourself. We use our own secret and special blends of three or more of Valrhona's premium chocolates for each of our recipes along with butter, sugar, vanilla extract, eggs, toffee and king arthur gluten free flour. Especially for chocolate lovers. Hand-cut chunks of Valrhona chocolates are added to our gluten-free cake-style recipe for an even richer chocolate taste.